It is common knowledge that hydration is key for fresh skin texture especially during the Winter months – even your other halves secretly steal your moisturiser – but you can have too much of a good thing. People think the answer to lack of moisture is to step up to a richer moisturiser, then the skin is tricked into thinking it is in a moist environment, causing its own hydrating processes to shut down. Don’t smother – stimulate with hyaluronic acid (HA), a lightweight molecule that plumps skin like nothing else, holds onto hydration and buffers your skin barrier from water loss, keeping everything juiced up and moisture locked in. 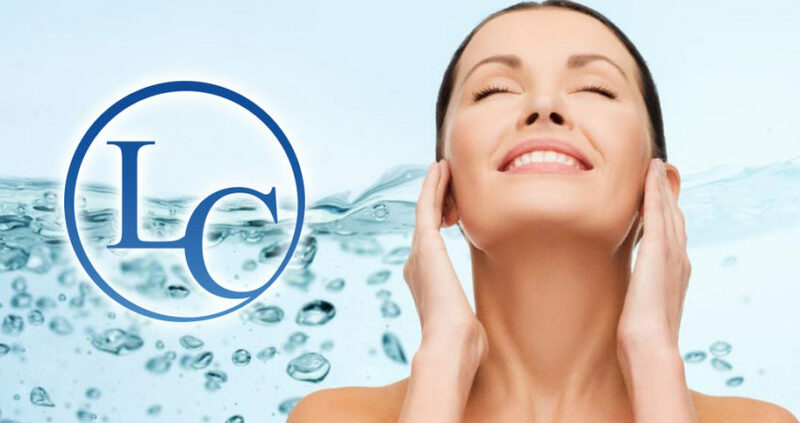 Products that contain hyaluronic acid are key for your skin, rather than a thick heavy moisturiser. 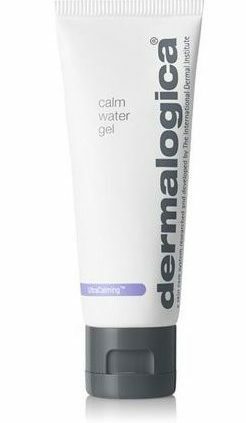 You will find hyaluronic acid in Dermalogica’s Calm Water Gel, a weightless water-gel moisturiser that hydrates dry, sensitive skin, and feels amazingly fresh and cool when applied. Exfoliation is essential for sparkling skin, those in the know cant go a week without it, but most women are in the “every few months, when I remember” camp. Old school gritty formulas, which felt satisfying to scrub away with but did your skin no favours, weakening its barrier, causing micro tears and flare-ups in sensitive or rosacea-prone cheeks. These days acids are the smart choice, gently smoothing skin to radiant perfection – pick either alpha hydroxy acids (AHAs) or beta hydroxy acids (BHAs), and use a couple of times a week for instant results that keep getting better. But do you know the difference? AHA’s like glycolic and lactic acid shift dead cells by loosening the joins between then, stimulate new ones and are unlikely to irritate in low-ish concentrations. If you are time poor, so cant make it for professional facials, consider using an at home peel like Rapid Reveal Peel by Dermalogica. A super potent acid and plant enzyme mix to kick start cell renewal and achieves visible radiance, great for reducing pigmentation and fine lines. BHAs for oily or hormonal breakout-prone, try the BHA to beat, salicylic acid. It’s the only active that digs into and unclogs pores making them appear smoother, and de-gunks blackheads without drying out skin. Daily Superfoliant (an AHA) for oilier skins, deep cleanses pores and removes pollutants trapped in skin, also a favourite amongst the males to stop ingrown hairs in the beard area.